Start smiling without missing a beat. Get all the information you need before your first appointment with Thompson Family Dental at Nora. Download our New Patient Forms right from our website. You can fill them out in the comforts of your home and bring them to your appointment. For a limited time, we’re happy to offer these special offers for new patients to give you access to high-quality comprehensive care. Free 2nd Opinions: Bring your x-rays from your previous dental provider, and Dr. Thompson will give you her honest opinion about your oral health – no strings attached. Unsure how to bring your x-rays? Give us a call and we’d be happy to help you out. We can aid your financial planning to make treatment easier for your smile and wallet. We accept CareCredit, a medical credit card. No dental insurance? Talk to us and we’ll let you know how we can help. Your first visit with our team is all about getting to know you. We’ll discuss at great length your personal goals with your smile. 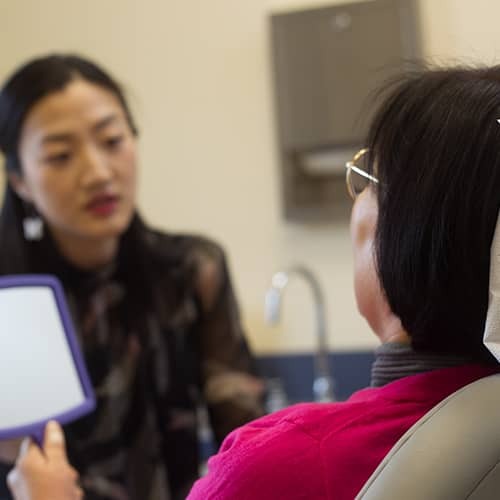 Being a firm believer in comprehensive care, Dr. Thompson performs a thorough evaluation of your bite, smile, and overall health. We’ll spend the time to take visual photography, gum charting, digital x-rays, and discuss your health to determine your future treatment plan. We’ll take all of our findings and discuss with you what we’re seeing and how you can get to your smile goals on your time and budget. Do You Have Any Questions Before Your First Visit? We do accept and file insurance claims on your behalf. However, we’re a nonparticipating office with any insurance company. This allows us to serve YOU with high quality, not the insurance company. Insurance is a confusing road, so call our office and we’ll be more than happy to assist you. It depends on your situation. If you’re a healthy patient, it’s possible to get your cleaning done during that same visit. For those with extensive dental issues, we use your first appointment time to thoroughly examine the root cause of your dental problems, so you and Dr. Thompson can strategize a dental treatment plan that serves your needs. Call our office for more details. We’ll do our very best to get you in at your earliest convenience. It all depends on your and our schedules. Call us at 317-846-9444 to get started. 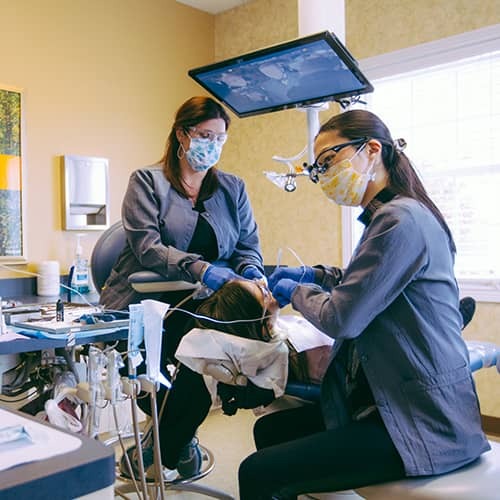 Thompson Family Dental at Nora is near Monon Trail and E 86th street – 5 minutes from The Fashion Mall at Keystone, the Nora Library on the west, and Target & Whole Foods at Nora on the east. Dr. Thompson and our caring team look forward to meeting you!